Supporting a household in rural Egypt is a business in itself. Families often find it difficult to live off of only one income, so women become valuable contributors to families’ incomes. In a village in the Upper Egyptian governorate of Assiut, Kamila is doing just that. 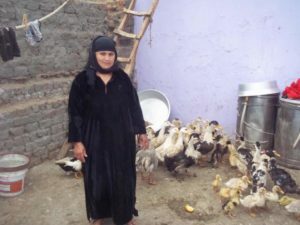 Kamila received a microloan from HANDS to jump-start a micro poultry enterprise. 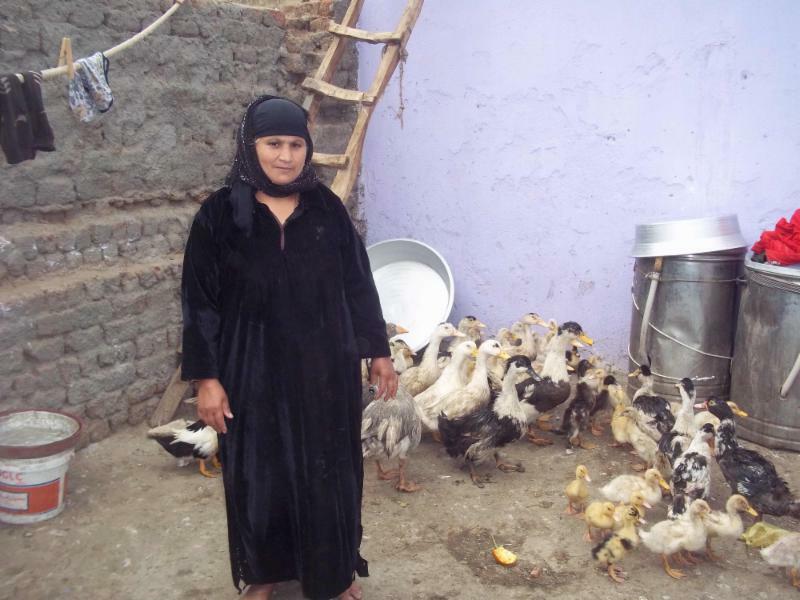 With this money, she purchased 2,000 chickens and raised them on the roof of her house. After only 40 days, Kamila was able to sell them to a trader. With the revenue from these chicken sales, Kamila could buy household necessities for her family, like sugar, rice, soap, and new clothes for her children, that they were not able to afford with her husband’s income alone. With the left over money, Kamila bought more chickens and repeated the process. Now, Kamila and her family have a stable and reliable extra source of income to better their lives. HANDS is grateful to our sponsors for providing opportunities for hardworking and entrepreneurial Egyptians, like Kamila, to earn a dignified living. No Comments to "Raising Families and Raising Funds: Kamila’s Poultry Micro-enterprise"